Kids are bored. 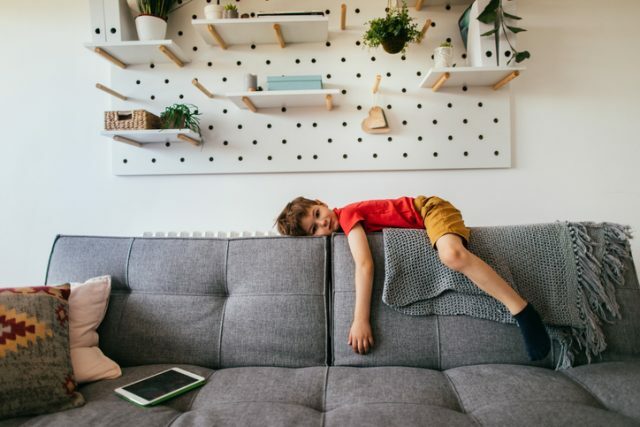 There has been much to-do about kids being bored. Why are they bored? Should we allow them to be bored? Then the guilt trip of parenting sets in. Should we be ignoring them or are we over indulging? I can answer that question. You’ll never get it perfect and never please everyone. My mantra is that parenting is personal and private, so mind your own business. As a Generation X parent, I find myself in an odd space. My kids’ ages are typical of a parent who’s younger baby boomer. (Yes, I had my kids early) This makes me parent using both eras as my personal parenting buffet. I choose what I want and leave the rest. Having said that, here’s why I don’t know if my kids are bored. It sounds horrible, I know. But I’m trying to be honest. It didn’t occur to me that I was supposed to care if my kids are bored. It just wasn’t my priority. And in my fifteen years of parenting, my boys have never told me they were bored. Does that mean that they never felt that way? I’m sure no. They just probably realized at an early age that I wasn’t going to solve that problem for them, so they figured it out themselves and didn’t bother me. There’s nothing to feel guilty about and it’s not an indictment on any particular parenting style. But I know for a fact that they can entertain themselves. Left to their own devices they will figure it out. This begs the age-old question, what are you paying the nanny for? One may argue that this IS part of the problem. After paying someone to entertain the child all day, guess what? They expect someone to always do that. So, the parent who just wants to read a book in peace has to fill that role when the nanny is absent. If we’re honest, we sometimes raise miniature attention seekers. The kid who always needs an audience and throws a fit when they don’t get it. That is learned behavior. Yes, I went there. As parents, we can’t be blameless all the time. We created some of these problems, so it’s up to us to fix them. Let’s look at what worked for me over the years. If my boys were bored, how did they survive? I realized that a couple of things happened. 1. They learned to play by themselves. ¡Que horror! Children entertaining themselves. So even when my first born was an only child, which he was for almost five years, he played by himself. Tons of trucks, hot wheels, building blocks and puzzles. And he figured it out. It is called is self-directed play. Of course, I didn’t know that over ten years ago. I just knew I wasn’t going to be on a day long play date with him. 3. Wean ourselves. We want them to figure stuff out and entertain themselves but we’re always in their faces. Go read a book and leave the play area. There are tons of stuffed animals available to attend the tea party. You’re not needed. So where do you fall? Modern parents are not nonchalant about how bored their kid is. But I’m sure you can find your sweet spot. Remember parenting is personal and private. Just make sure you can deal with the consequences.